Details: The Arriva operation based at Wandsworth Garage recently ceased working on London Buses tendered routes (route 337 being lost to London General). 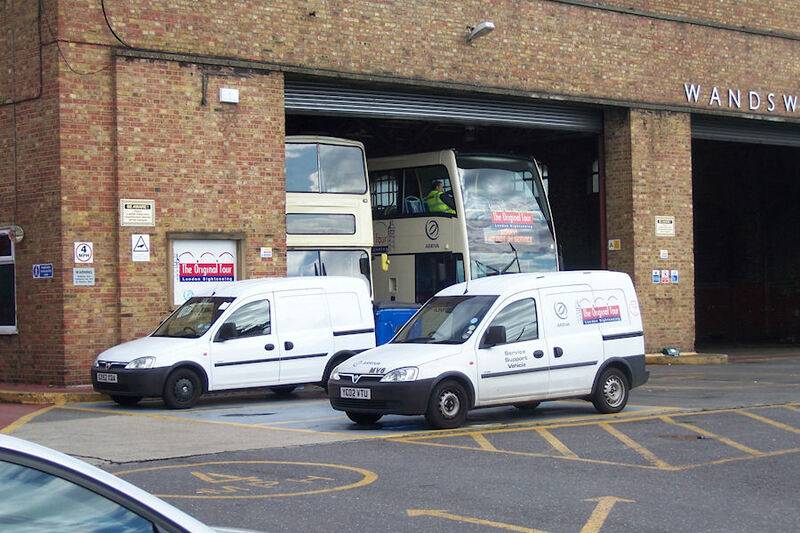 The garage remains as the main base for the London Tour fleet, supported by a handful of small vans. Photographed outside the garage on 27th August 2011 were GX52XDA (which has at some point lost its lettering and fleetnumbers) and YC02VTU.